Alright, so we showed you the boxes Nintendo’s booth came in, and we showed you the view of the booth from outside. 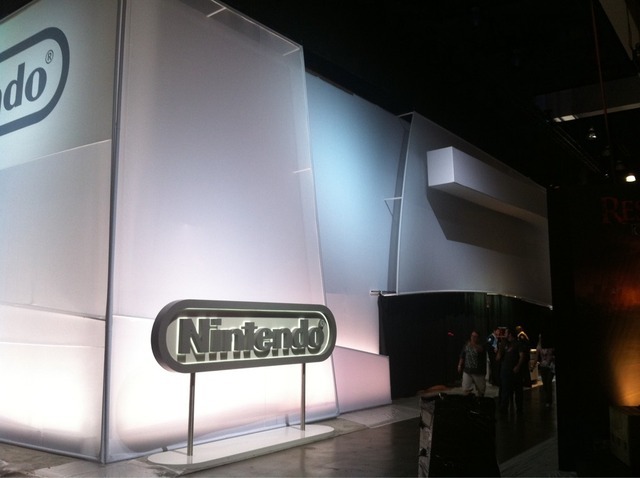 Now, we’ve got pictures of Nintendo’s booth from the inside…kind of. Nintendo veiled their booth with a curtain quickly after construction to avoid the wandering eyes of fans who wanted a sneak peak. However, we also have a photo of the portion of the booth that hasn’t been veiled courtesy of 1-Up. Hop inside for the photo of the unveiled portion, as well as the portion of the booth with the veil up.